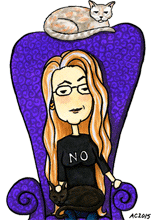 I’ve finally colored the very last bonus bride from my Monster Heart Coloring Book. She was so simple to do, I’m not sure why I put her off — just some very subtle light shading and her red-black lipstick and pale skin, really. She makes a lovely companion to Frankenstein’s Monster, and I’m sure he’s eager to give her his heart. Her eyes are even the same green that tinges most of his patchwork skin. 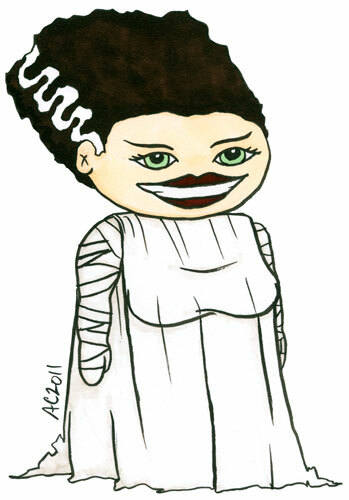 Bride of Frankenstein, 5″x7″ pen and ink and Copic Markers on watercolor paper, $69 with free shipping.